OTTAWA — Veterans across Canada are praying that the Trudeau government will deliver more than a lump of coal when it rolls out its long-awaited plan for providing pensions to injured ex-soldiers. 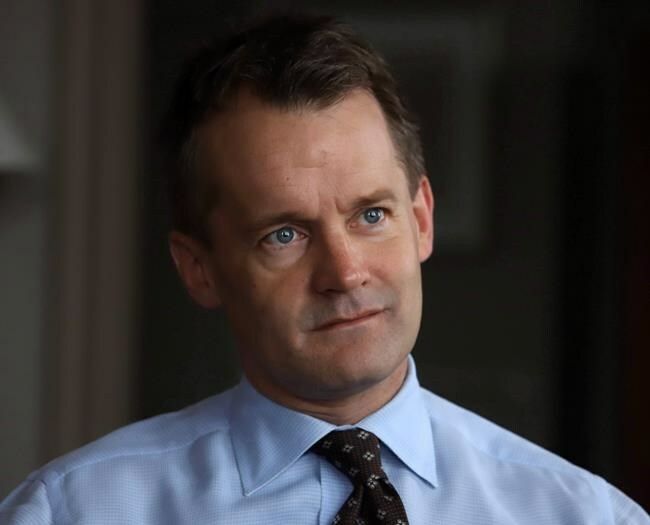 Veterans Affairs Minister Seamus O'Regan will unveil the pension scheme on Wednesday, more than two years after it was first promised during the 2015 federal election. The Liberals were the only party to promise to re-instate lifelong pensions for disabled veterans, which were replaced by a controversial lump-sum award, career training and income-replacement programs in 2006. The commitment was in direct response to widespread complaints from veterans that the new benefits, known collectively as the New Veterans Charter, amounted to far less financial assistance than the old pensions. Yet there are widespread fears that the Liberals' plan, which is being announced after the House of Commons has risen and only days before Christmas, will fall far short of expectations and leave many veterans in the cold. "They've been warned that they can't let down the veterans," said Aaron Bedard, who was injured while serving in Afghanistan and is now one of the most vocal proponents for bringing back the pensions. "You can't drop a bomb on us at Christmas." Veterans receive financial benefits and compensation based on the extent of their injuries or disabilities, and were eligible under the previous pension system for up to $2,733 per month, tax free, for life. The New Veterans Charter, implemented by the previous Conservative government with unanimous support from the Liberals and NDP, provides a lump-sum award for pain and suffering worth a maximum of $360,000. But it also included various rehabilitation and career-training programs to help disabled veterans adjust to civilian life, and income-replacement benefits for those unable to work. Comparisons are difficult, but a high-profile lawsuit against the government that was recently thrown out by the B.C. Court of Appeal claimed veterans under the charter receive 40 per cent less than those with pensions. Prime Minister Justin Trudeau first promised to bring back the previous lifelong pensions while on the campaign trail in August 2015. "If I earn the right to serve this country as your prime minister, no veteran will be forced to fight their own government for the support and compensation that they have earned," he said at the time. "We will re-instate lifelong pensions and increase their value in line with the obligation we have made to those injured in the line of duty." But the government has since backed off that commitment to bring back the old pensions, and veterans are being told that it will offer the lump-sum award in instalments of up to $1,200 or $1,450 per month. The actual amount will reportedly depend on the veteran's age and injury; the average lump-sum award is currently $43,000, according to Veterans Affairs, meaning most will get far less than the maximum amount. Severely disabled veterans are expected to continue to receive additional assistance through the income-replacement programs included in the charter, but it remains unclear what will happen to everyone else. There are also questions over whether any changes will be retroactive — more than 61,000 injured veterans had received a lump-sum award as of March 31, 2017 — and if the new scheme will be taxable. While that means the devil will be very much in the details, veterans and opposition critics are worried that the timing of the announcement in the lull before Christmas is an indication that it will be bad news. "By virtue of the fact that it's two years in and in the middle of a very busy holiday season, it just doesn't leave me feeling that the news is going to be all that good," said NDP veterans affairs critic Irene Mathyssen. Many veterans say they are ready to fight if the government doesn't live up to its promise, including on the hustings, as happened when the community turned against the Conservatives in the last election. "I can see how they are hoping that the celebrations over the holidays combined with the extended break from Parliament will provide time for the anger within the veterans' community to be marginalized and dissipate," said Mike Blais, founder of Canadian Veterans Advocacy. - Follow @leeberthiaume on Twitter.